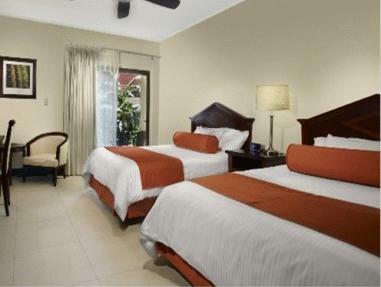 ﻿ Best Price on Manchebo Beach Resort and Spa in Oranjestad + Reviews! Ideally located on Manchebo Beach along the Caribbean Sea, this Aruba luxury resort features an outdoor spa, 3 restaurants with live entertainment and spacious rooms with a private balcony. The elegant rooms at Manchebo Beach Resort and Spa are styled with Caribbean colors and dark wood furniture. Each is equipped with a microwave and refrigerator. A 32-inch LCDTV, iPod docking station and free WiFi are also included. Spa del Sol has a steam room and massages and nail services are offered in the tropical outdoor gazebos. Guests can also relax by the outdoor pool or workout in the gym. 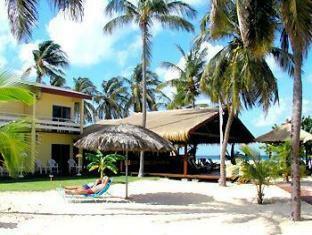 Manchebo Beach Resort offers concierge services as well as on-site car rental. Multiple beach cabanas including lounge chairs and towels are available. This property is a yoga retreat destination. Beach Resort Manchebo’s Pega-Pega Café and Beach Bar features sandwiches and Caribbean cocktails. Live music is performed at the French Steakhouse, while Ike's Bistro - Mediterranean & Caribbean serves a breakfast buffet and offers fine dining in a tropical poolside setting.